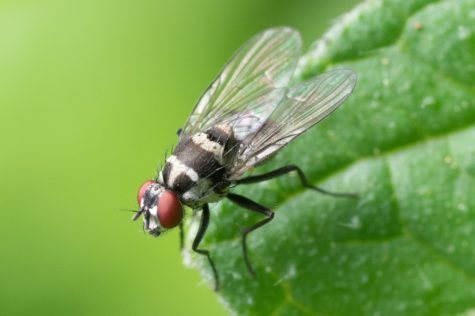 BLACKSBURG, Va. — Many states, especially those in the South, often refer to the mosquito as their “state bird,” a dry joke making light of the high prevalence of the bothersome bug. Whether it’s fearing the itchy welt or worrying about contracting a virus, many of us go to extremes to keep the pests away. You might think that bug spray or citronella candles are the best repellants, but a recent study found that swatting at mosquitoes may actually help them learn to stay away from you. The study, conducted by researchers at Virginia Tech, confirmed what scientists already suspected: that mosquitoes remember the taste and smell of human blood and often pick on individuals whose blood is “sweeter” to them. That’s why your friend had a slew of bug bites during that last camping trip, but you only emerged with just a few. But the finding changed when researchers observed their behavior around people who shooed them away more; that is, mosquitoes, may remember the smell of sweeter blood, but they also remember the defensive measures taken against them. 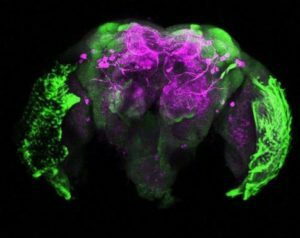 The authors found that the brain chemical dopamine plays a role in a mosquito learning which hosts to attack and which to avoid. So while a person’s blood can be remembered as particularly delicious, so can their ferocious swatting techniques. Clément Vinauger, assistant professor of biochemistry, and Chloé Lahondère, a research assistant professor, demonstrated that mosquitoes learn which individuals to attack and which to leave alone with aversive learning. They trained female Aedes aegypti mosquitoes to associate certain odors, such as human body odor, with unpleasant vibrations and shocks. After the training, the mosquitoes were put into an insect flight simulator, where they had to fly upwind and choose between the human odor and a control odor. The mosquitoes, even though before the training they preferred human odor, avoided it in the test. Using sophisticated tools like CRISPR gene editing and RNAi, the scientists were able to isolate dopamine as the main mediator in mosquito adverse learning. 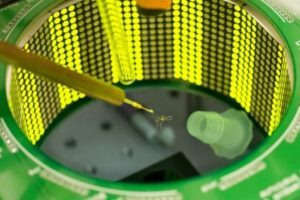 The authors believe that their findings may provide valuable insight into how humans can better keep mosquitoes away and avoid a dreaded bite. The full study was published Feb. 5, 2018 in the journal Current Biology.